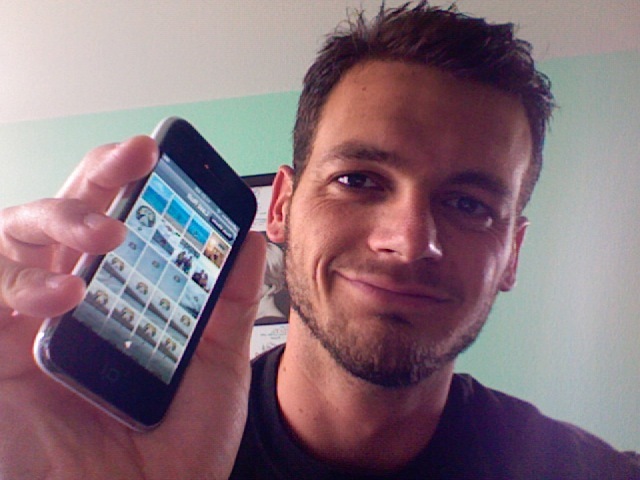 I’ve had my iPhone 3G a few days now, so I’m way past due for a blog post. At first, Gmail really sucked. Eventually I fixed most of the issues. The trick was not using the GMail setup “shortcut”, and rather to just manually configure IMAP. This page was quite helpful. Alas, things could be better. I’m currently polling for new mail, which means an update latency of 15 minutes in the worst case. Still looking for a push mail solution that works with Gmail. While the App Store is cool, I wish it would stop asking me for my damn password (especially when I am about to download an app which costs $0). Bloomberg.app — Better than the built-in stock app. Google.app — Remember to go here when you want to initiate a search. Facebook.app — The data is almost better than my contact list. Be aware that you may lose your corporate discount when getting an iPhone. I wasn’t prepared for this. My wife works for Microsoft. I work for AMD. Both have discount agreements with AT&T. Adding the iPhone to our family plan killed the (better) MS discount, but I was able to add the AMD discount instead. It’s all very confusing. At one point I was told by an AT&T rep that we could get the MS discount but I would need to pay for the enterprise data plan ($45/mo instead of $30/mo). MobileTerminal.app: Is that Unix in your pocket… ? OpenSSH: Yep, I can SSH into my phone. Springboard (the home screen) looks really cluttered with 20 app-icons. Wow, visual voicemail is nice. I had to reset my PIN before it worked, though. You should check out nuevasync http://www.nuevasync.com/ it doesnt push email (yet), but it pushes your google contacts and calendar according to one of my friends. supports “push” (like yahoo or MobileME). push account. (this will allow the iphone to see the inbound mail). Gmail SMTP as the only working alternative. intact. No need to have both accounts active. Thanks Jon, that’s good info. I think it’s not worth the trouble for me. I’ll just wait until Google gets its act together. Seems like they could just copy whatever proprietary hack Yahoo is using for push mail.